No longer does fantasy football rule my life. Saturday marks the 31st year I have organized and participated in the TFL or Toumi Football League. What started back in the early 80’s with 6 close friends who played soccer together has grown into lifelong friendships that span the coast of California. Through the years we have lost a few diehards, but gained new blood and made new friendships, yet the core group have been together for 31 years. It’s quite an amazing achievement, considering what the league and fantasy football in general has grown into. 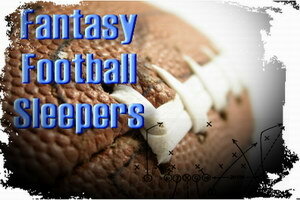 A few years back I stumbled upon Fantasy Football Starters, a fantasy football site based out of Phoenix, Arizona. I started participating on their forums during the season and was asked to be a moderator, which was a wonderful gesture. I felt as if I might regain a love I had lost for fantasy football and possibly see that flame ignite while being an active participant and being involved. Unfortunately 3 years later I emailed the guys behind FFS and told them to remove my alias as a moderator as fantasy football was no longer a priority in my life. In fact I have no interest in watching the NFL, sports in America have degraded that much. In these days of big money, poor sportsmanship, increased injuries and nonstop advertising I no longer care about the NFL, MLB, NFL and never did watch the NBA. Sports have no relevance in my life, outside of international football (soccer those American struggling to call it football). So where does that leave me for fantasy football? I am acting commissioner in two leagues, the TFL and my work league, but won’t actively participate in the drafts. Actually considering an auto draft in my work league. Why not? The winning team did that last year. As for the TFL, I am sure many of the owners I call friends, aren’t happy with my lack of interest and participation. No longer do I make the roadie to Las Vegas or Palm Springs, as family and career come first. Not sure they all understand that, but I don’t expect them to. I would probably do better to call it quits and let more new blood join the league. Not sure that even winning the league would increase my excitement about the game or the NFL. That is how bad it has gotten. So with that said I will participate, but it won’t be to the degree that I lived and breathed football, waiting for the Thursday night games and MNF. It’s just another sport that has become irrelevant in my life. Hopefully the interest remains, or I will lose contact with a number of childhood friends. Week 3 finishes up tonight with a big AFC rivalry as OAK travels to DEN to take on Manning and that passing attack. It was a wacky week as we saw a number of upsets including SF and GB, while CLE, under Brian Hoyer and defeated MIN. Let’s not forget the Giants going 0-3 being waxed by CAR 38-0. Ouch! So much for Emily Manning and company. Enter the BYE weeks start in week 4 and if you drafted like many do without consideration for back ups at some position now is the time to start looking to fill those voids. Geno Smith NYJ 16-29-331-2, 4-14-1: Smith could be a spot start as we head into BYE weeks depending on opponant. He put up career best numbers vs BUF and looks to have another good matchup vs TEN in week 4. Brian Hoyer CLE 30-54-321-3: Got to give the kid some credit posting 300+ in his first game, but CLE didn’t have a running game to speak of attempting 54 passes! With no positive contribution on the ground, don’t be surprised to see 40-50 passing attempts moving forward. LeGarrette Blount NEP 14-65/Brandon Bolden NEP 3-51, (6)5-49: With Ridley continuing to lose time and carries, Blount and Bolden combined for 116 yards on the ground. Logic dictates it will be Bolden who is the more versitile RB in the backfield. Jonathan Franklin GBP 13-103-1, (3)3-27: He won’t be noted for the offense he contributed to the Packers, but the fumble that caused cost GB the name. He looked better running the ball than Starks did, faster and more ellusive. Numbers might be a bit skewed thanks in part to a 51 yard run. Bye in week 4, watch injuries to Lacy and Starks. Isaiah Pead STL 7-21, 11(9)-61: Richardson lasted a single play as he reinjured his foot, which opened the door for Pead. While he wasn’t impressive on the ground he did contribute to the passing game. This week STL plays SF, watch Richardson’s situation, but Pead has the edge to take the majority of the snaps. Jacquizz Rodgers ATL 18-86, (3)2-17: Mentioned him in Watch List #2 after Steven Jackson went down last week, but Rodgers posted a ground best 86 yards. Good chance Jackson misses week 4 providing Rodgers another start vs NEP. Fred Jackson BUF 7-72, (5)4-37: Spiller left the game with a knee injury and Jackson took over backfield duties and led the team in rushing. BUF faces BAL next week, but watch the status of Spiller, which could make Jackson a flex start. Bilal Powell NYJ 27-149, 2-9: Powell was another RB mentioned in the week 2 Watch List. he put in his best performance rushing for 149, averaging 5.5 YPC. Could be in line for a majority of the work next week at TEN. Notables: Jason Snelling ATL 11-53, (5)4-58-1. Donnie Avery KC (7)7-141: While the KC offensive with Smith isn’t impressive, he has been effective in the yardage department. This week it was Avery exploding for 141 yards and catching everything that came his way. With all the underneath routes Avery could play a bigger role. Mike Williams TB (9)5-65: Not flashy, but the injury to Jackson could see an increase in production. Still getting a fair amount of targets from Freeman. Might be worth watching the VJ injury. Josh Gordon CLE (19)10-146-1: Big game coming off a 2-game suspension for Gordon, who was targeted an amazing 19 times on Sunday. This with Brian Hoyer at QB and 54 pass attempts. Matchup seem favorable for CLE the next few weeks. He could be a viable WR2 or flex option in your team. Notables: Jason Avant PHI (8)5-87-1, Ted Ginn CAR (4)3-71-1, Kendall Wright TEN (6)6-71, Devone Best CLE (10)7-67. The Watch List is back for 2014. For those new to FFS, it’s just a snapshot of possible free agents you could potentially sign off the wire. Some of these names will be players who performed well over the weekend and are on wire in the leagues I compete in and some are pure speculation based on injuries or a gut feel. Please add to the list if you have a player you think might deserve to be on the list. The number in the () represents targets. Joique Bell, DET 6-25-2, (6)5-67: Even with the injury to Bush, Bell put in a great game for DET scoring twice on the ground and adding 67 yards through the air. DET might have their short yardage back, but he’s to add for depth or keep an eye on. Shane Vereen, NEP 14-101, (10)7-58: A player who was probably drafted in many leagues benefitted from Ridley’s inability to hold onto the ball on Sunday. Two Ridley fumbles and a benching resulted in Vereen taking a big step forward in getting more playing time. Da’Rel Scott NYG 5-23, (8)5-51: The Dave Wilson experiment lasted only 2 fumbles before he was benched in favor of Scott, who turned in a nice performance. Wouldn’t hedge my bet on him lasting the season, but he is one to keep an eye on. Doug Baldwin, SEA (8)7-91: On one of the worst passing teams in the NFL, Baldwin put up solid number on Sunday ith 91 yards. He led the team with 8 targets and with no true WR1 on the team (sorry I don’t believe the hype on Tate) Baldwin could turn around to put some good numbers up this season. Julien Edelman, NEP (9)7-79-2: Could this be Edelman’s year? TE’s accounted for only 1 catch on Sunday as Brady only used 3 WRs. Amendola left with a minor injury, the rookie Thompkins was highly targeted, but it was Edelman who found the endzone. It is a very deep year for WRs, Julian is just one of many, but you gotta like the team he’s on. Brian Hartline, MIA (15)9-114-1: Probably undrafted in many leagues for various reasons, but he continues to perform, especially for PPR leagues being targeted 15 times! He scored as well, might keep expectations in check, as they were only playing the Browns. Jerome Simpson, MIN (8)7-140: Simpson was highly touted last year, but never really took flight. On Sunday he led all MIN receivers in receptions, targets and yards. Too bad Ponder found the DET defense 3 times. He’s the deep threat for Ponder as well. Harry Douglas, ATL (6)4-93: With Roddy White dinged up Douglas might see more targets his way, as he led the Falcons in yards with 93, but missed out on the 2 TDPs. Andre Roberts, ARI (9)8-97: Roberts made some good catches on Sunday to lead the Cards in yards with 97. His targets (9) were second only to Fitz. Reuben Randle, NYG (6)5-101: Roberts had a strong showing as the WR3 for the Giants with 101 yards on 6 targets. This performance was good enough for the 3rd best WR on the Giants behind Cruz and Nicks. I still expect good stats from Randle as the team’s WR3. Martellus Bennett, CHI (6)3-49-1: Good game for the Black Unicorn, as he was targeted 6 times and found the endzone. CHI threw the ball 33 times, looks like they plan on using the TE. Julius Thomas, DEN (7)5-110-2: What an impact game for the rookie, but it also helps to have Peyton Manning throwing he ball, setting a record with 7 TDs. Lots of hands wanting the ball in the aerial display. Thomas could be a legitimate red zone target. 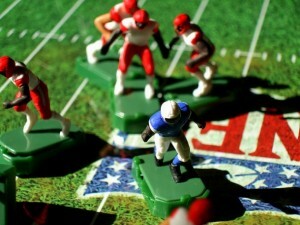 For many fantasy owners it comes down to one more toss of the proverbial dice as we look towards week 13. By now many owners know their fate. For many, week 13 signals the end of their fantasy football season. For others, this is when you look to hit your stride and hope that moves you have made through out the NFL season will pay off. For those on the bubble, you are looking to secure that one last win to get into the playoffs and worry about your playoff match up next week. More injuries to deal with this week starting with Matt Forte and a reoccurring ankle injury. Andre Brown (NYG) broke his fibula, while Jalen Parmele (JAX) injured his leg. Brandon Weeden (CLE) and Lance Moore (NOS) both suffered concussions. This potentially opens the door for a few players to make their mark. With that said, here is the watch list as we go into week 13 of the NFL. Another strong performance by Henne as the starter this week, as he tossed a multi-TD game. The offense has been improved since Henne took over for the injured Gabbert. Not the strongest option at QB, but JAX plays BUF in week 13. For the playoffs Henne faces NYJ, @MIA and NEP. QB controversy in SF? Kap put up average passing numbers, with 1 INT. He did make it up on the ground with a rushing TD. It will be interesting to see who leads the 49ers onto the field in the coming weeks. Kaepernick is the future, but Smith has been playing well most of the year. He is worth a pick up from the wire (if he is still there). Week 13 vs @STL, followed by MIA, @NEP and @SEA for the playoff weeks. He shouldn’t be on the wire, but if he happens to be available, his 2 TD vs STL might be the punch a team needs to carry them through the playoffs. Week 13 he faces NYJ and his playoff match ups feature @SEA, DET and CHI. Could this be the last hoorah for Moreno? He stepped up on Sunday vs KC and ran for 85 yards (4.2 YPC). His start and performance was a huge surprise and with McGahee done for the year and Hillman unimpressive, Moreno could be another strong pick up going forward. Week 13 DEN plays TB. For the playoffs he plays @OAK, @BAL and CLE. Powell received a majority of the goal line looks and for a second week, he cashed in scoring on a 4-yard TD run. Powell finished with 12 carries (2 fewer than Greene). It looks as if the Jets will split carries between Powell and Greene going forward, but could continue to see the goal line carries. Week 13 NYJ play ARI. For the playoffs they are @JAX, @TEN and SD. The Giants lost Andre Brown to a broken fibula, which leaves Wilson the backup to Bradshaw. As long as Wilson can hold on to the ball, he should see more reps on a weekly basis. He was a hot RB during the preseason, but lost some luster and Brown flourished. He could be a spot starter the rest of the way. Week 13 Giants at @WAS. During the playoffs the NYG play NOS, @ATL and @BAL. Amendola was limited on Sunday with a foot injury, which provided Givens with a chance to showcase his talents. He is a big play WR, who ended with 6 targets (5 catches) with 115 yards and 1 TD. Watch the status of Amendola, as Givens will be the recipient if Amendola is limited or out. Week 13 the Rams host SF. For the playoffs they are @BUF, MIN and @TBB. With Titus Young benched, Broyles made himself a target for Stafford who targeted him 12 times. If Young continues to cause team problems, Broyles will continue to see a majority of the snaps and worth a look. Week 13 DET plays IND. For the playoffs DET is @GBP, @ARI and ATL. Described as the “Cowboy’s version of Wes Welker” Beasley came out of nowhere and took advantage of the Ogletree being out and the injury to Miles Austin. Romo targeted him 13 times in Thuanksgiving. He is speedy and could continue to steal looking if the other Dallas WRs can’t go. Week 13 Dallas faces PHI. During the playoff weeks DAL is @CIN, PIT and NOS. Housler received a team high 11 targets as the inexperienced Lindley looked to his TE often on Sunday. With Lindley poised to be the potential starter, Housler could see more involvement in the Cardinals offense. Still not too impressive as a full time starter. Week 13 ARI plays @NYJ. The playoff match ups are @SEA, DET and CHI.